Carlon Meter was founded in 1962 in Grand Haven, MI. 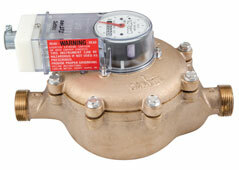 Carlon is known for high quality and long lasting potable water meters. The company also manufactures a signal splitter and a line of programmable controls including pump controls, timers, batch controllers and a 'Car-Logger'. The Car-Logger when combined with our JSJ line of positive displacement or turbine water meters can provide real time flow data to help customers manage their energy costs. This unit provides real time flow data as a stand alone device or the information can be accessed through an RS485 or an internet connection to the customer’s building management system. Carlon is known for industry leading quality products and exceptional customer service. Most orders are shipped within 24 hours. 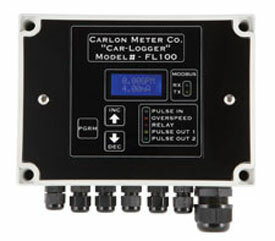 The versatile CAR-LOGGER is designed to receive an input signal from a Carlon meter to provide a “real time” flow rate signal as well as the total volume of water passing through the meter. The CAR-LOGGER also provides two independent pulse output signals for inputs to programmable controllers and remote counters, if required for the application.